This original painting is available. To enquire or order your custom portrait or painting, from photo, image or picture, please contact the artist. approx. 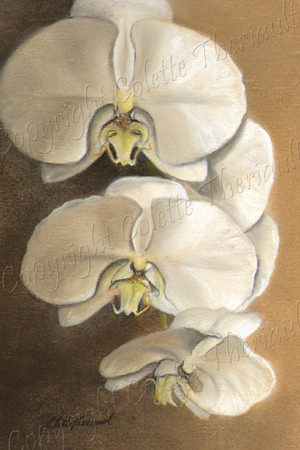 size: 3" x 5"
The Phalaenopsis orchid is also called the moth orchid due to it`s resemblance to the night flying insect. This plant blooms twice a year in a hanging pot by my window and is relatively easy to take care of.